Without question, the Brandywine Valley is known for being horse country. It has established its reputation as an area known for staging top-flight equestrian events. The 2018 equestrian season had its unofficial start last weekend with a big annual point-to-point event in Delaware. This weekend, the spotlight will be on the Annual Willowdale Steeplechase (Steeplechase grounds, routes 82 and 926, Unionville, 610-444-1582, http://willowdalesteeplechase.org). This year’s 26th annual staging of the event will be held on May 13 from 10 a.m.-6 p.m. The Willowdale Shops, Restaurant Booths, Kid’s Alley Tent and the “Antique Car Display” are all scheduled to run all day starting at 10 a.m. The “Silver Tailgate Competition” will start at 11:30 a.m. The initial competition will be the “Jack Russell Races” at 11a.m. followed by the “Small Pony Race” at 12:15 p.m. and the “Large Pony Race” at 12:30 p.m. The first of seven steeplechase races will begin at 1:30 p.m. and the racing is scheduled to end between 4:30 and 5 p.m. Gates will close at 6 p.m. The Willowdale Steeplechase is a first-class steeplechase course that features an uphill approach to the fences. This encourages less speed and more jumping and, as a result, causes less wear and tear on the horses. This year’s Willowdale Steeplechase has several beneficiaries — Quest Therapeutic Riding Services, Inc., The Stroud Water Research Center and The University of Pennsylvania School of Veterinary Medicine at New Bolton Center. Tickets are $40 at the gate. Video link for Willowdale Steeplechase — https://youtu.be/TjydsviqIvo. Phoenixville’s annual Dogwood Festival gets underway on May 14 and will run through May 19. 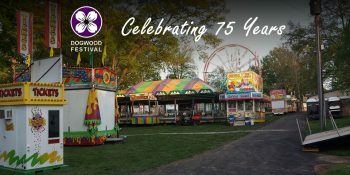 The 75th annual staging of the springtime fair will take place at the historic Reeves Park Bandshell (Main Street between third and Fourth avenues, Phoenixville, 484-928-0052, www.phoenixvillejaycees.org) with live entertainment each night. On May 14, the music will be served up by Sparkle & Rust and Gene Galligan while May 15’s show will have The Flower Power Band. Acts slated for May 16 are the Audubon Symphony Orchestra and Ray Owen. The Hytha Family Band and Flower Power Band will perform on May 17. The schedule for May 18 features the Rougarou Band while May 19’s slate includes String Band and John Valerio. The main day for activities at the free festival will be May 19 with a parade and other festivities running from noon-3 p.m. and live entertainment starting at 4 p.m. The parade, which is one of the festival’s showcase events, is slated to get underway at 11 a.m. Visitors to the site will be able to enjoy the spectacle of thousands of azalea blossoms and acres of wildflowers. The day’s events will include the opportunity to take photos with Mom in Azalea Woods, shop at the “Azalea Sale” at the Museum Store and participate in guided and self-guided tours through the azalea display. Visitors will have the opportunity to take a stroll through the vibrant colors of the garden and marvel at the architectural wonders of garden follies. 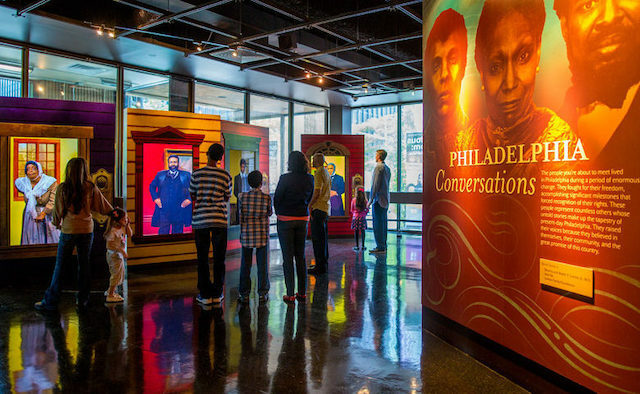 Winterthur’s other featured exhibitions are Eye on the Iconic: Honus Wagner and Sports Memorabilia,” which is running through June 17; “Truths of the Trade: Slavery and the Winterthur Collection,” which is running through August 5; and “Dining by Design: Nature Displayed on the Dinner Table,” which is running through January 6, 2019. Admission to Winterthur is $20 for adults, $18 for seniors and students and $6 for children. If you’re looking to find a distinctive gift to present to you mom on this weekend’s Mother’s Day – make one yourself. Participants will learn how to make unique planters to give to their mothers on Sunday’s special day. All the tools and materials will be available at the farm and pet center along the Brandywine Creek. The event, which will run from 9-11 a.m., is free and open to the public. 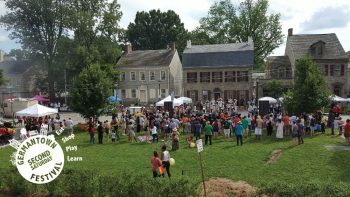 The well-attended annual event will be held on May 12 and 13 on the Museum’s grounds along the banks of the Brandywine Creek in Chadds Ford. 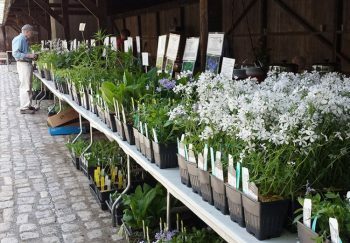 Visitors to the “Wildflower, Native Plant & Seed Sale” will be able to select items from a wide array of categories and varieties. No plants are collected from the wild and most of them are propagated by Conservancy volunteers. As an added attraction, Conservancy staff and volunteers will be available to answer questions and provide planting and horticultural information. All proceeds from the sale benefit the Conservancy’s diverse and beautiful gardens. Admission to the plant sale is free. 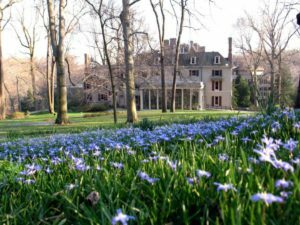 The Morris Arboretum (100 East Northwestern Avenue, Philadelphia, 215-247-5777, http://www.business-services.upenn.edu/arboretum/index.shtml) is holding its annual Plant Sale on May 12 from 10 a.m-3 p.m.
As usual, the Morris Arboretum Plant Sale will have a fabulous selection to satisfy all your planting needs. Unusual annuals, new perennial cultivars, fabulous woody plants and heirloom roses will make this Plant Sale one you won’t want to miss. Arboretum staff offer expertise you won’t find anywhere else. Professional horticulturists will be on hand throughout the sale to answer your questions and make recommendations for your home garden. Look for the folks in the red aprons. Plant offerings include annuals, perennials, woodies, roses, clematis, dividend plants and rhododendrons. 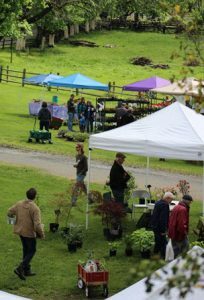 Morris Arboretum’s “Plant Sale Public Sale” is open to all members of the public. Landis Valley Village and Farm Museum (2451 Kissel Hill Road, Lancaster, 717.569.0401, www.landisvalleymuseum.org) is holding its annual Herb & Garden Faire on May 11 and 12. Landis Valley is transformed into a gardener’s paradise at this annual sale. With more than 80 vendors of heirlooms, natives, and other hard-to-find varieties as well as herbal skin care products, garden art, and jewelry spread out over the historic village area of the site, it’s a delightful shopping experience that’s quickly becoming a Mother’s Day weekend tradition. Visitors can also grab a bite from the Faire’s food vendors, listen to beautiful music, or tour gardens run by the museum’s Heirloom Seed Project. The Herb & Garden Faire will run from 9 a.m.5 p.m. both days. No pets are allowed. Admission is $12 for adults, $10 for seniors, $8 for youth (ages 6-11) and free for ages 5 and under. Tickets will be available at the door. 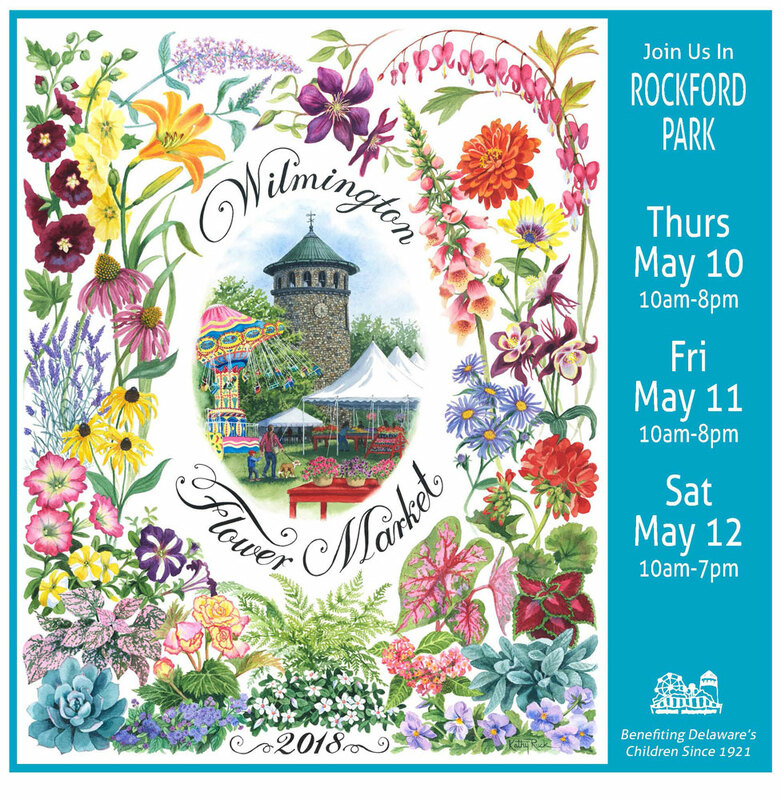 Usually, the Wilmington Flower Market, which is held in early May every year, is an event that almost always seems to bring wet weather. So, it comes as no surprise that rain showers have already hit on May 10, the event’s opening day. 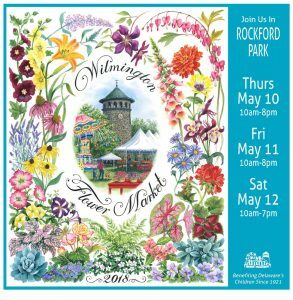 The 2018 Wilmington Flower Market, which is free and open to the public, will be held Friday from 10 a.m.-8 p.m. and Saturday from 10 a.m.-7 p.m. each day. As is the tradition, the event features crafts, booths, rides, food, fun, live entertainment and plenty of flowers. The music line-up also features I See Magic, Andreas Moss, A Great Big World, Mike Quick, Rozzi, Logan Henderson, Hot Breakfast, and Danielle & Jennifer. The Pennsylvania Guild of Craftsmen offers a number of craft fairs throughout the state each year. One of the most popular fairs is scheduled for this weekend. Now through May 13, the Guild will present the Fine Craft Fair (Rittenhouse Square, Philadelphia, 717-431-8706, www.pacrafts.org). Through a partnership with the Friends of Rittenhouse Square and in conjunction with the Philadelphia Parks & Recreation, the Pennsylvania Guild of Craftsmen will bring its signature premier Fine Craft Fair to the scenic park in Center City Philadelphia. Founded in 1944 at the recommendation of Eleanor Roosevelt, the Pennsylvania Guild is one of the nation’s largest and most recognized craft guilds, specializing in the advocacy and support of more than 1,400 members whose handwork is known for its unparalleled skill and artistry. Fine craft is often defined as the hand and mind transformation of raw materials into inspired works of art. The finished products may be either traditional or contemporary in style and design. This weekend’s event will feature more than 145 of the Guild’s finest craft artists. The Fine Craft Fair, which is free and open to the public, will focus on hand-crafted jewelry, contemporary furniture, functional and decorative pottery, designer clothing, fine porcelain, blown glass, limited edition photography, sculpture, paintings, watercolors, oils, graphite and pastels. There will be 150 white tent canopies lining the sidewalks of Rittenhouse Square’s park when the Guild returns to Philadelphia with its sixth juried Fine Craft Market. This year will also include an “Emerging Artist” section and a hands-on activity free for all ages, sponsored by the Guild workshop program. Fair hours are 11 a.m.-7 p.m. on Friday and Saturday and 11 a.m.-5 p.m. on Sunday. Admission is free. Street and garage parking is readily available. 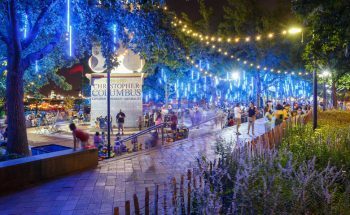 Now through June 30, Franklin Square (http://historicphiladelphia.org/chineselanternfestival/) will come alive every night with its Chinese Lantern Festival featuring more than two dozen illuminated lanterns – all constructed by lantern artisans from China. The “Opening Weekend Celebration” at Spruce Street Harbor Park (301 S Christopher Columbus Blvd, Philadelphia, 215-922-2386, www.delawareriverwaterfront.com) is scheduled for May 11 and is free. This year, the park opens with the Second Annual UNIVESTival from May 11-13 with fun activities both on and off the water. There will be a tightrope and aerial show, live music, a magic show and craft booths by local arts companies. The entertainment schedule features Trinadelphia Steel Pan Ensemble and DJ Royal T on May 11, DJ Rahsaan Lucas and Ernest Stuart on May 12, and Trinadelphia Steel Pan Ensemble on May 13. Another popular event in this area of the waterfront will get underway this weekend – “Seafarin’ Saturday” at the Independence Seaport Museum (211 S. Columbus Blvd. Philadelphia, 215-413-8655,www.phillyseaport.org). The attraction features nautical activities and adventures of distant shores for the whole family. Children will have a variety of options – from making pirate battle rattles to sailor valentines and a lot more. “Seafarin’ Saturdays” will be held every Saturday inside the Museum from 11 a.m.-1 p.m. All activities are free with admission. Admission to the museum is $17, Adults; $12, Seniors (65 & over), $12 Children (3–12), College Students or Military (active & retired); and free, Children (two and under). The 15th annual Spring Art Star Craft Bazaar will be held on May 12 and 13 at the Great Plaza at Penn’s Landing (101 South Columbus Boulevard, Philadelphia, www.artstarcraftbazaar.com). More than 140 vendors will be selling their wares at the free two-day pop-up event along the Delaware River. Shoppers can expect affordable and quality handmade goods such as pottery, jewelry, home goods, bath and body products, stationery, clothing, lighting, furniture, baby goods, pet accessories, bags, prints, and fine art. The show will also feature live music by local bands who will be playing throughout the day on the River Stage at the Great Plaza. Video link for Art Star Craft Bazaar — https://youtu.be/sq17QcTerPo. This year’s 2018 PrideFest, “The United Colors of Love”, will commemorate New Hope Celebrates’ 15th anniversary. 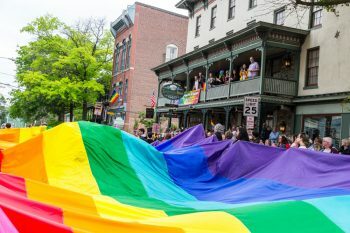 The event, which straddles the Delaware River from New Hope in Pennsylvania to Lambertville in New Jersey will kick off on May 12 with a morning Pride 5K Run, then everyone is invited to attend the annual reveal of the festival’s 25-foot Rainbow Equality Flag at Starbucks on Bridge and Main Streets. The event will feature daytime fireworks displayed over the Delaware River from the New Hope & Lambertville Bridge. On May 20, The Raven hosts a pool party with DJ Kirk while The Ladies’ 2018 Pride Party will be at Havana’s with DJ Steven Singer spinning the music. Video link for “Celebrate Pride Festival” — https://youtu.be/kB1xsNRcIuE. One of the more energetic traditional springtime events in Pennsylvania Dutch country is the Rough and Tumble Engineers Historical Association’s annual “Spring Stream Up” (Rough and Tumble, 4977 Lincoln Highway East, Kinzers, 717-442-4249, www.roughandtumble.org). “Spring Steam-Up” is scheduled for May 11 and 12 from 7 a.m.-5 p.m. each day. One of the highlights will be sessions of “Plowing with Steam and Gas Tractors.” This activity will be held only if weather is favorable to plow. There will be a variety of displays featuring steam engines, gas engines, steam tractors, gas tractors and antique cars. Also featured will be a model shop, a saw mill, two steam trains and blacksmithing demonstrations at the museum’s blacksmith shop. “Tractor Games” are scheduled for Friday at 4 p.m. The “Garden Tractor Pull” and the “Children’s Pedal Tractor Pull” will be held on Saturday at 1 p.m.
“Spring Steam-Up” is looked at as special event each year at Rough and Tumble — a time to get the steam engines out of hibernation and fire them up. It is also a time for the plowing to begin. Video link for Spring Steam Up — https://youtu.be/p2mcLqqfKyk. Tickets for “Spring Stream Up” are $5 for adults and $2 for children (ages 6-12). The Ironmaster’s wife at the Joanna Furnace Iron Works (Furnace Road, Morgantown, http://www.haycreek.org/) will host the site’s 12th annual Victorian Tea on May 12 at 11 a.m. and 2:30 p.m. This year, guests will participate in a program titled “Preparing for the Ironmaster’s Wedding”. The Victorian Tea service is a formal event that includes light fare and tea served on fine china and tables covered with pressed linens. Volunteers will dress in period clothing to greet and serve guests. To follow the tradition of the Ironmaster’s family, the event is a “low tea” service. That means the tea service will include the same light fare the ironmaster’s wife would have served to her most important guests. The term “low tea” means guests were seated at a low table, typically in the drawing room or sitting room of an estate. Volunteers will use traditional recipes to make the light fare which they will serve to guests – and teach guests about proper tea etiquette that was expected during low tea. Guests are encouraged to wear their “Sunday Best.” Victorian dress, gloves, and hats are optional. Admission for the Victorian Tea is $22. It’s Mother’s Day on May 13 and a number of the area’s tourist rail lines are celebrating the holiday with special excursion trains. The West Chester Railroad (610-430-2233, www.westchesterrr.net) is running its Mother’s Day Express on May 13 at noon and 2 p.m. Families can take mom on a 90-minute round trip train ride from West Chester to Glen Mills and return on her special day. During the brief layover in Glen Mills, riders will be able to explore the historic Glen Mills train station as well as the rail line’s picnic grove along the Chester Creek. All Moms ride for a special reduced fare! You can also purchase lunch for you and mom to enjoy on your trip. Each lunch includes your choice of ham and cheese or a turkey and cheese hoagie, your choice of beverage, chips, applesauce cup, and cookies. All of this comes packed in a reusable insulated lunch bag with the West Chester Railroad logo. Buy your lunch and mom can get one for half price. Tickets are $15 for adults, $13 for children (ages 2-12) and $5 for moms. The New Hope and Ivyland Railroad (32 West Bridge Street, New Hope, 215-862-2332, www.newhoperailroad.com) is running its Mother’s Day Weekend Brunch Train on May 12 and 13. The train ride departs from and returns to the New Hope Train Station. Guests will dine in the railroads early 1900’s first class parlor car and be served a buffet style gourmet brunch including assorted fresh breads, fruits, French toast, an assortment of breakfast meats, scrambled eggs and potatoes, Frittata Lorraine, and an assortment of desserts and chocolates. Coffee, tea and water is also included. Guests will be able to purchase alcoholic and non-alcoholic beverages from our onboard full-service bar. All Mothers receive a complimentary flower and mimosa. Mother’s Day Brunch fares are: Adult (Age 12+): $78.99; Child (Age 3-11): $71.99; and Infant (Age 0-2): $9.99. The African American Museum in Philadelphia (701 Arch Street Philadelphia, 215-574-0380, www.aampmuseum.org) is hosting a special event for youngsters on May 12. “May Macy’s Family Fun Day! – Spring Into Action,” which features interactive workshops for ages 5 and up, will run from 11 a.m.-3:30 p.m. The schedukle of events is: 11 a.m.-12:30 p.m. – Hip-Hop Dance Cardio Workshop with Roger Lee (Gallery 2); 12:30-2 p.m., Musical Percussion Workshop with Clayton Carothers (Gallery 2); 1:30-3:30 p.m. — Creative Chemistry Workshop with Brandon Presley (Auditorium). Thanks to the generosity of Macy’s the first 250 people will receive free The second annuakl staging of the e entry to the museum. General Admission to the museum is $14 for adults and $10 for youth, students and senior citizens. On May 12 and 13, the Philadelphia Taco Festival will be held at the SugarHouse Casino (1001 North Delaware Avenue, Philadelphia, https://www.tasteofyourtown.com/phillytaco). The second annual staging of the event will feature tasty tacos from more than 25 restaurants along with tequila tastings. There will also be a beach-themed margarita bar where bartenders will be serving both frozen and classic maragaritas. General admission includes entry to the event and access to live music (including authentic Mariachi bands), more than 25 taco vendors, a tequila sampling tent, the maragarita bar and a chili pepper eating contest. Tickets for the adult-only event are $19.99. All tacos and beverages are pay-as-you-go. The annual Spring Fair at Fitler Square Park (23rd and Pine Streets, Philadelphia, www.fitlersquare.org) is scheduled for May 11 and 12. The event, which will run from 10 a.m.-6 p.m. on Friday and 10 a.m.-4 p.m. on Saturday, is held in the area surrounding the fountain in Fitler Square Park and features a raffle of goods and services from local restaurants and shops. Throughout the park are treasures for everyone — flowering plants and herbs for your garden, gently used books and children’s clothing, delicious baked goods, foods and drink, Fitler Square T-shirts and stationery, and inexpensive white elephant items. Around the perimeter of the square, over 30 vendors create a vibrant craft and flea market. The schedule for live entertainment features STAR Band, the a capella chorus from the Philadelphia School and DJ Patty Pat on Friday and City Lights, Philadelphia Dance Academy and DJ Coleman on Saturday. Admission is free, and the Fair is held rain or shine. There will be live entertainment provided by Shakey Lyman from 11-11:30 a.m., “Scrapple Demo” by Rappa/Habbersette in City Kitchen from 11:30 a.m.-12:30 p.m., “Rappe/Habbetersette Sampling Product” in City Kitchen from 12:30-1 p.m., and another performance by Lyman from 12:30-1;30 p.m.
On May 17, the focus will be on automobiles during “Cruise Night” at Herr’s Snack Foods, (20 Herr Drive, Routes 272 and 1, Nottingham, 610-932-9330, www.herrs.com). This year, Herr’s Snack Foods is hosting its 19th Annual Cruise Night. 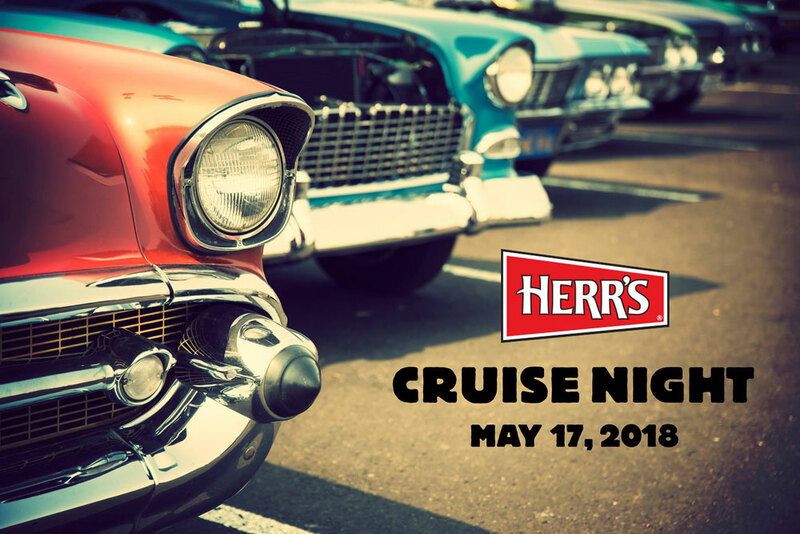 Visitors to the event will find that “cruising” is welcomed rather than frowned upon in so many of the area’s municipalities. The popular annual event, which features free admission and free parking, will get underway at 5 p.m. and continue until dusk. More than 300 classic cars and hot rods will be on display. Car owners are encouraged to register in the people’s choice contest for first, second and third place “Best of Show” trophies. Spectators will be able to vote for their favorite classic car between 5-7 p.m. The free event will also feature factory tours, food booths with festival fare, children’s games, music by a disc jockey and a variety of door prizes.